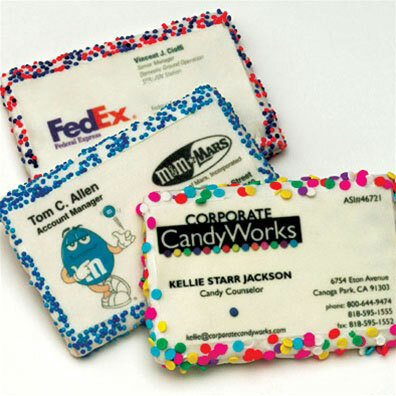 Edible business cards may seem weird and unhygienic to some people. But with the need to be stand out in the market more critical today than ever, these cards is probably a good way to try out (especially for those food industry) – Make your customers closer to your company, let them eat your business card. Just don’t forget to put something physical and inconsumable material with your edible cards to give people something to keep for later use. No matter you want to try those kinds of cards, we will show you 10 Eatible Business Card Designs we found on the market now. So you won’t be surprised when you found you receive one of them in the future. These business cards (Bombay Bakery) are actually made from cookies and you can also get them in different flavors! Start with 100% beef jerky, and SEAR your contact information into it with a 150 WATT CO2 LASER. This is the most special business card I ever seen. Not sure about the practical usage, it does look visually impressive. 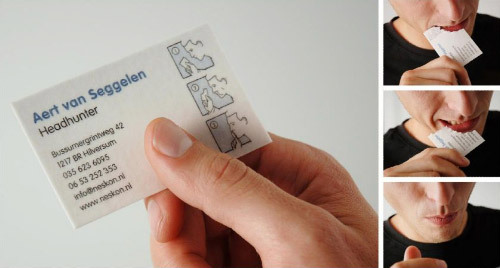 100% discreet business cards for head hunter Aert van Seggelen. 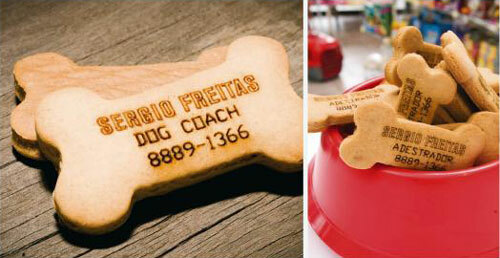 Completely edible business cards with ‘read it then eat it’ instruction. 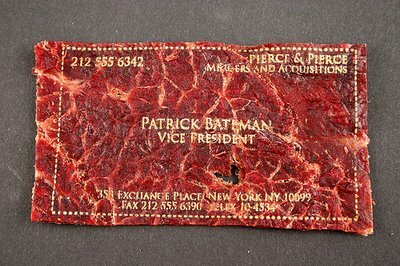 I don’t know exactly what this business card is made of that allows for it to be completely edible…eatible paper??? Arigatou Co., Ltd., a company that specializes in the sale of laser-etched food products, offers “Taberu Me” edible business cards printed on peanuts. 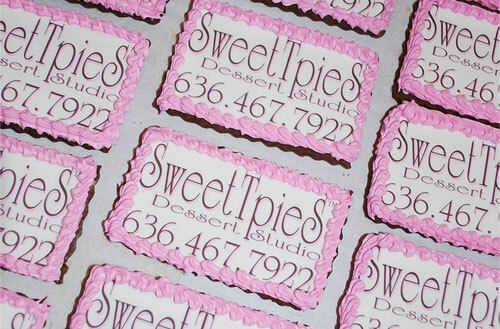 A Sweet Way to Build Your Business! 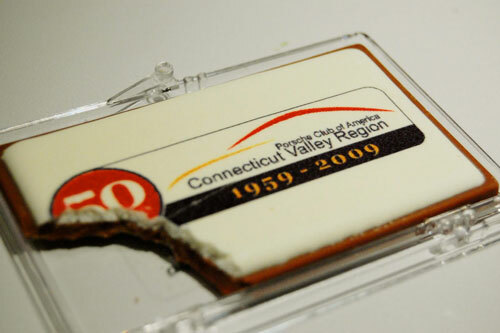 Graham Crackers are enrobed in devine White Chocolate and decorated with a 100% edible image of the business card! Totally Chocolate’s unique engraving turns fine chocolate into an effective business communicator. Besides the flavor and aroma of pure Belgian chocolate, the custom design can include text, illustrations, even detailed engineering drawings. 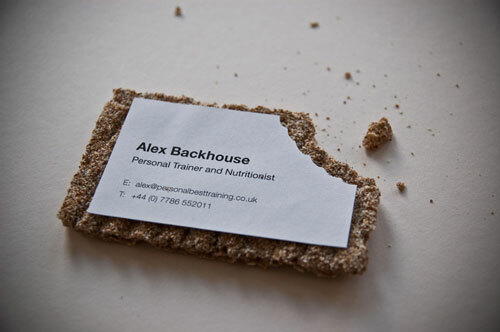 A business card for a personal trainer and nutritionist. Details attached to a Rye bread biscuit. Here is a ephemeral piece of Porsche Club gear. 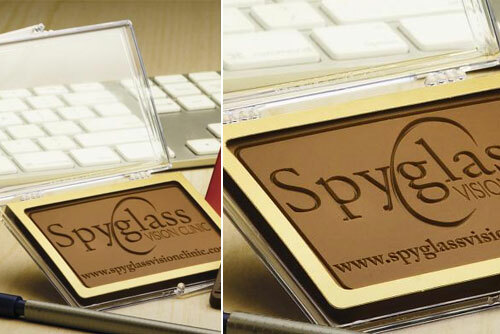 A milk chocolate business card.